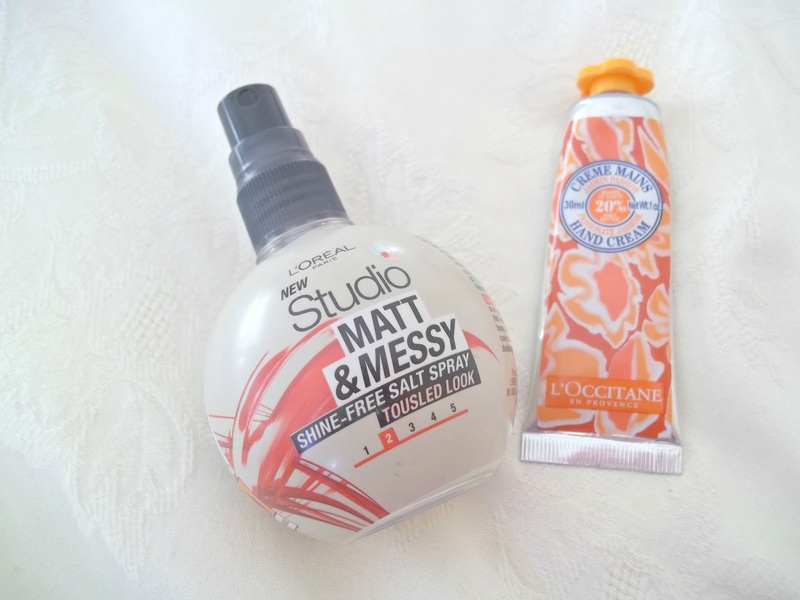 What Lauren Says: What's In My Travel Bag? Another day of December means another day of Blogmas! 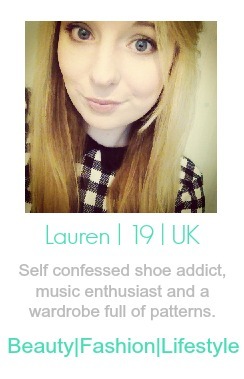 I've got to say it's hard work blogging everyday but I'm really enjoying it! Tomorrow I'm off to Birmingham for a few days - a couple of gigs to attend to, the German Christmas market to visit along with all the other amazing shops Birmingham holds! If I'm honest I'm quite glad for this mini break. Working in retail is stressful any time but at Christmas a lot of people turn into an idiot customer and it doesn't half get you down. Anyway, back to the point of the post.. With my mini break looming I thought it would be the perfect chance to show you what bits and bobs I'm taking with me on my travels. A lot of this you can easily pick up in the drugstore and always a good time to try out samples. 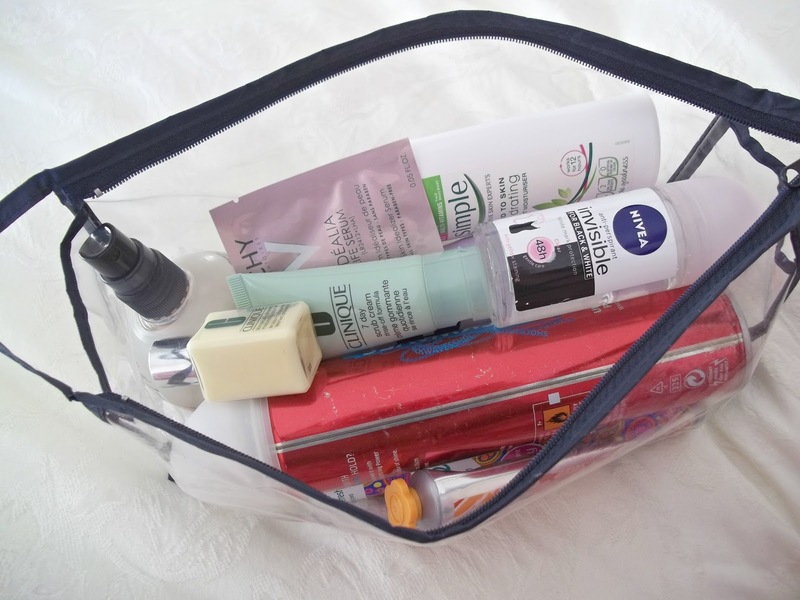 I go for a clear wash bag to keep everything in because I've got a tendency to forget things and I'm always in a rush so a last minute check of everything is made a little easier with this option! 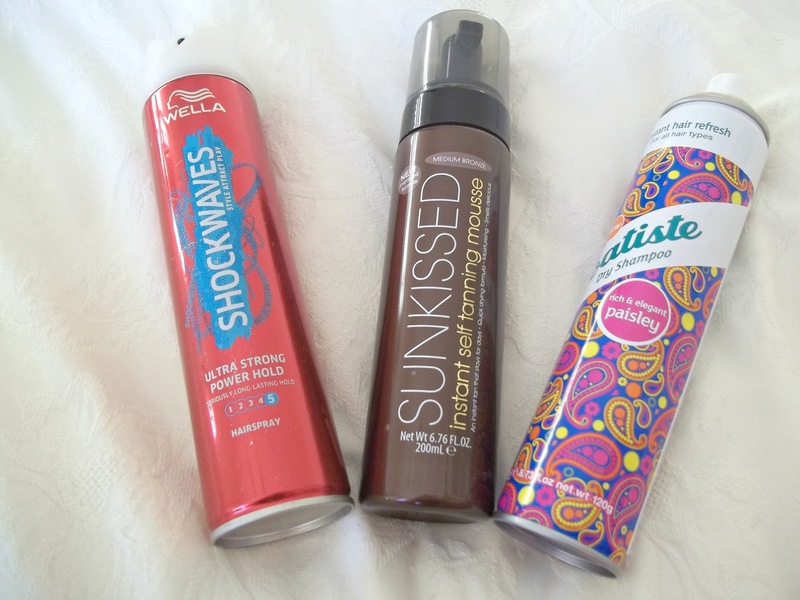 Shockwaves Ultra Strong Power Hold Spray (£2.95) - What a fancy name for a hairspray eh?! Names aside I've been using this hairspray for years. I'm yet to find one that keeps my hair in place for longer or one that smells as nice. A lot of hairsprays I can't stand the scent of but this one is spot on! Sunkissed Instant Self Tan Moose Medium Bronze* (£4.99) - Become my new tanning favourite recently so this has to come with me for a tanning top up. Read my full review HERE. Batiste Dry Shampoo Paisley (£2.99) - Always safe to carry a bottle of dry shampoo around with you. However I think they have stopped making this paisley version as I can't find it anywhere online but I've spotted it in my local Superdrug recently. 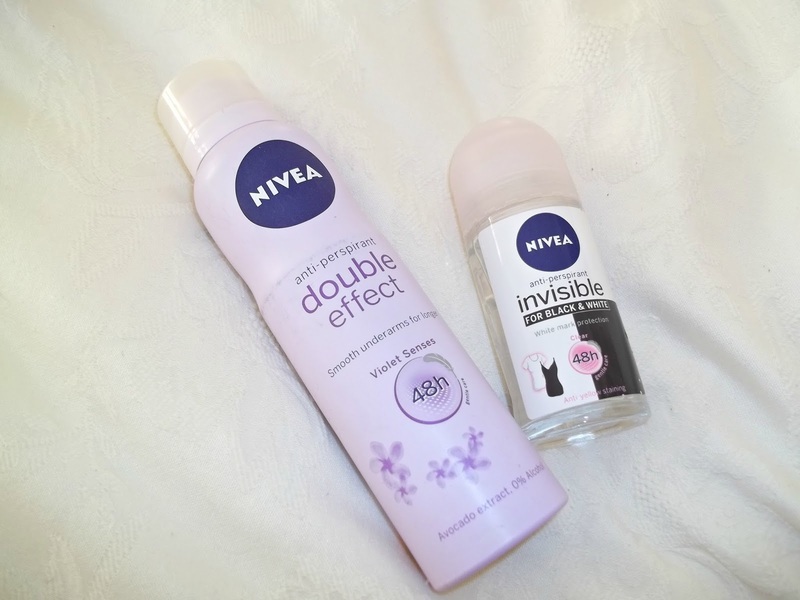 Nivea Double Effect Anti-Perspirant (£3.29) - Bit of an obvious one but I've been loving Nivea's deodorant range recently and they do the job! Nivea Invisible Black & White Clear Roll On (£2.10) - I like this roll on especially because you can use it with whatever colour clothes you are wearing without the worry with white marks on your new black dress and I prefer a clear roll on as well. L'Oreal Matt & Messy: Salt Spray (£3.75) - One of my favourite purchases ever brought on a whim, I picked my first bottle up in the summer. As a natural wavy/curly hair girl I love to embrace it and I love spraying this for an added texture to my waves. 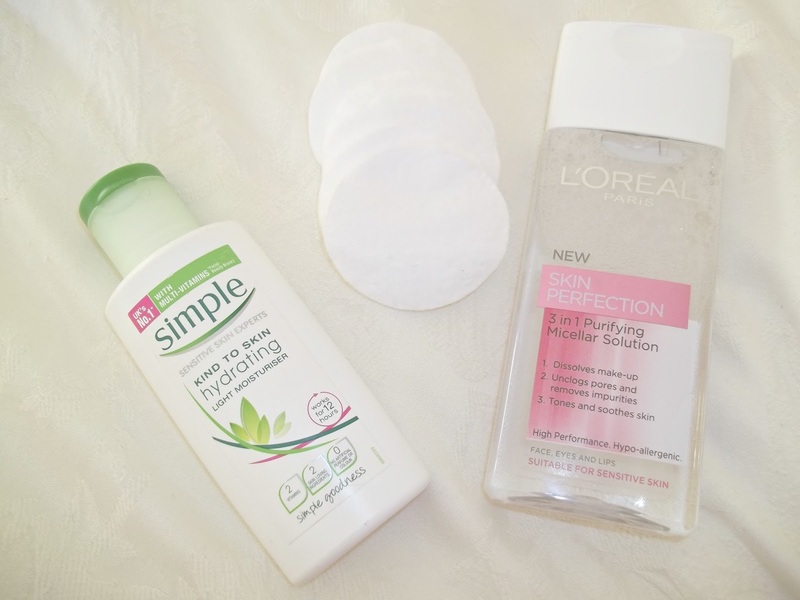 Simple Kind To Skin Hydrating Light Moisturiser (£3.79) - Whenever I'm having a skincare nightmare I always turn to Simple. My skin gets dryer as it gets colder and applying this twice a day has kept the dryness at bay as it hydrates the skin. Clinique 7 Day Scrub Cream (£18.50) - When it comes to travelling out it always the right time to gather your samples and try them out. I have tried this a few times before and it always leaves my skin extremely soft and helps glide on primers/foundations even easier. Clinique Dramatically Different Lotion+ (£28) - I can see why so many people love this after a couple of uses. Already thinking of purchasing the full size if I'm honest! 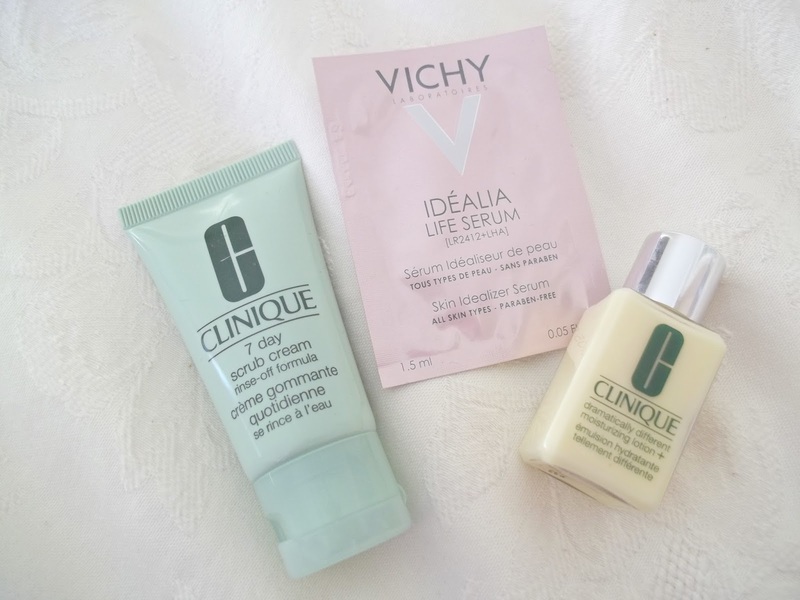 Vichy Idealia Life Serum (£29.50) - I got my hands on a couple of sample sachets of this and I was hooked after one try of the stuff. Every time I go into I'm stopping by this but the price tag for such a small amount puts me off. I can see myself buying it in the new year though.